The road between one book and the other was paved with both delight and self-doubt, the experience provoking Jane to write again, this time about the transformation between the private interior worlds of reading and meditation and the noisy exterior world of publication, between the books we read and treasure and the ones we write. With a wry and engaging tone, she invites us into her world and its jostling demands of music teaching, writing, friends and family, a succession of Chinese guests, and travels to a world of meditation and monasteries. In the spirit of the works of Anne Lamott and Kate Llewellyn, the daily activities of Jane’s life are bound to small breakthroughs and quiet illuminations. The author becomes a perfect companion to the reader as her life, writing, and meditation coalesce in profound ways. But as the perfect ending to her own writing journey and understanding threatens to elude her, Jane journeys to where Janet Frame grew up to find the courage and wisdom to complete her own story. 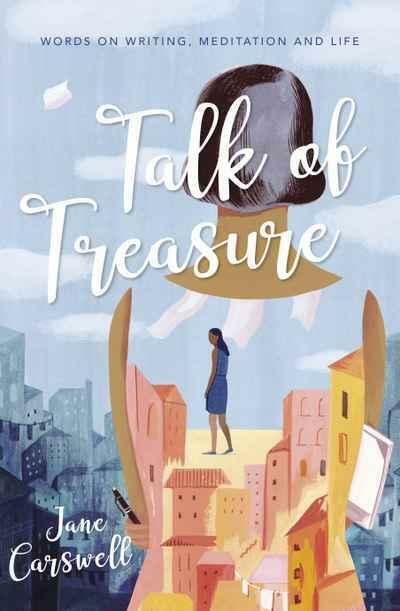 Lyrical and literary, Talk of Treasure is a compelling memoir about how to be a writer, and more simply, just how to be.